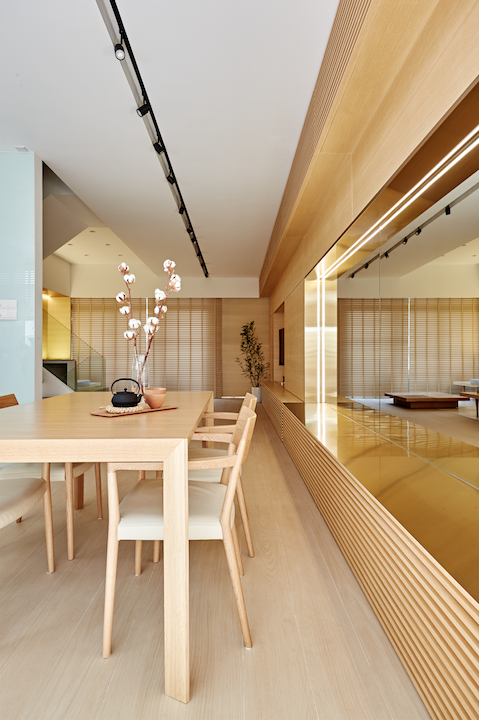 After living with a dark colour palette for many years, the homeowners of this three-storey cluster terrace home at Yishun tasked their nephew, Mikael Teh of Monocot Studio, with giving their home a much-needed revamp. 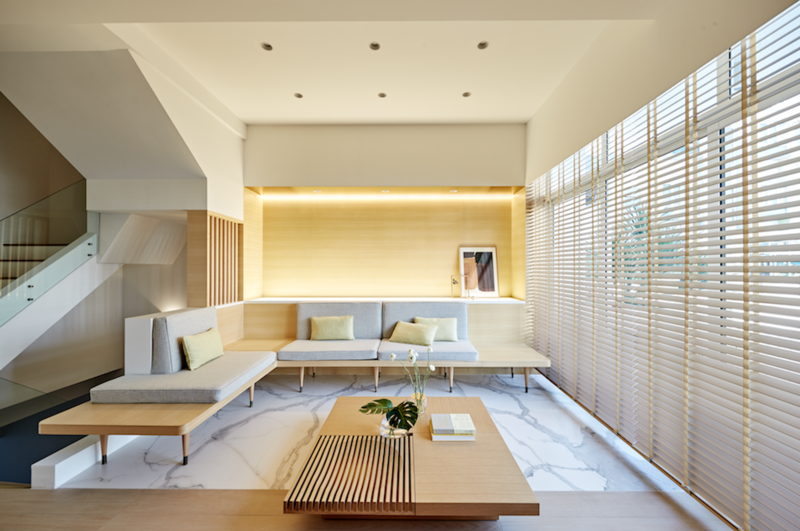 The new look: a bright and airy space influenced by the streamlined forms and light hues of Japanese design. This built-in sofa sports an architectural silhouette with steel caps. This concept was chosen not only because of the couple's love for Japan, but also out of consideration for their grandson. "He comes over to his grandparents house every day, so they requested an open space for him to play freely. As he is allergic to dust, minimalist designs and hidden storage that will not gather as much dust were key," says Mikael. This includes doing away with shelving, despite their large collection of Lladro sculptures, and opting for a concealed television console instead. 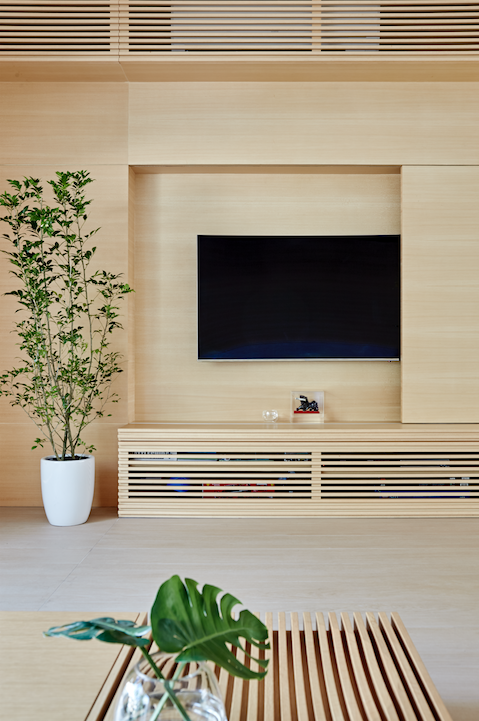 Unlike regular sliding doors, this television console panel has a push mechanism that allows it to be with the console wall, once closed. The seamless panelling prevents trapped dust. Mikael also enlarged the kitchen by taking some space from the outdoor dining area, and installing foldable glass doors to separate the two spaces. 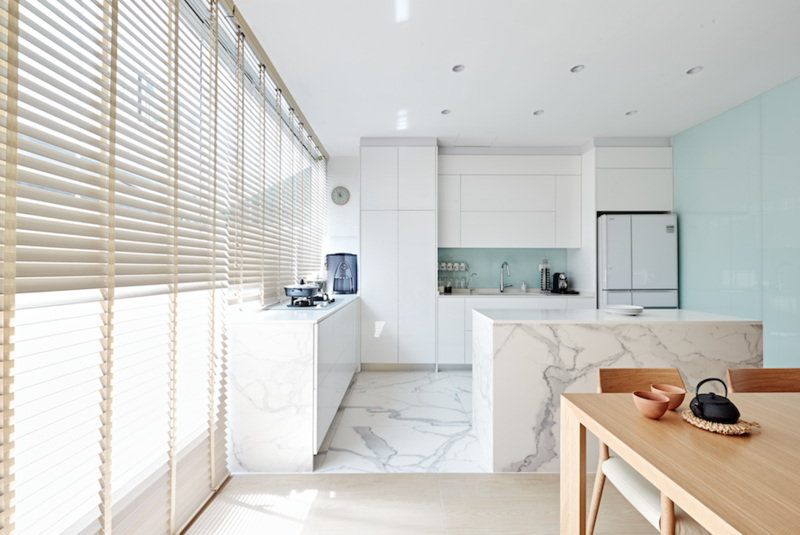 Taking into account the warm-toned living room and all-white Blum kitchen (a long-time dream for the homeowners) Mikael zoned the spaces using two flooring types; white marble tiles for the kitchen and living room, and light-wood timber strips for the rest. "As clothing may damage wood over time through chafing, I opted for a brass finish on the dining settee. Brass is more durable than timber veneer," shares Mikael. It was important to the homeowners that everything, from the timber slats and window blinds to the colour palette, was cohesively designed; silhouettes had to be aligned and symmetrical, and colours had to match. The right materials also created a smooth transition from cool to warm tones. 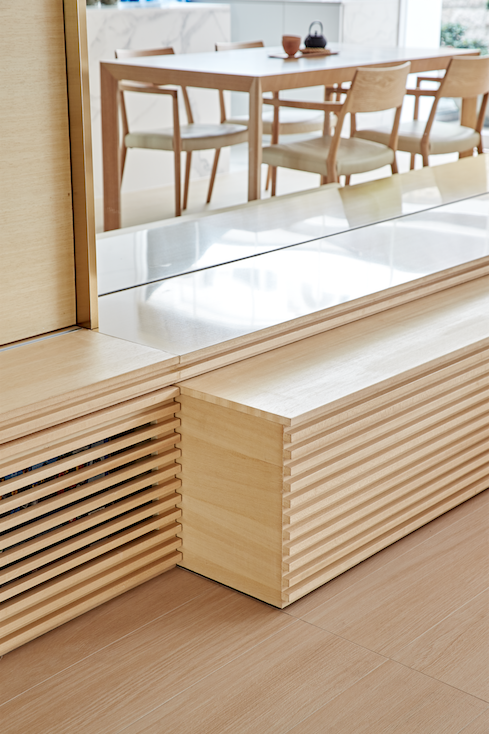 A pull-out bench for additional seating in the dining area is also part of keeping the design clean and minimalist. The $100,000 partial renovation included works done in the basement and a son's bedroom, too. Here, Mikael jazzed up the space with a luxurious suede fabric headboard, as well as a customised onyx stone-look bedside table. 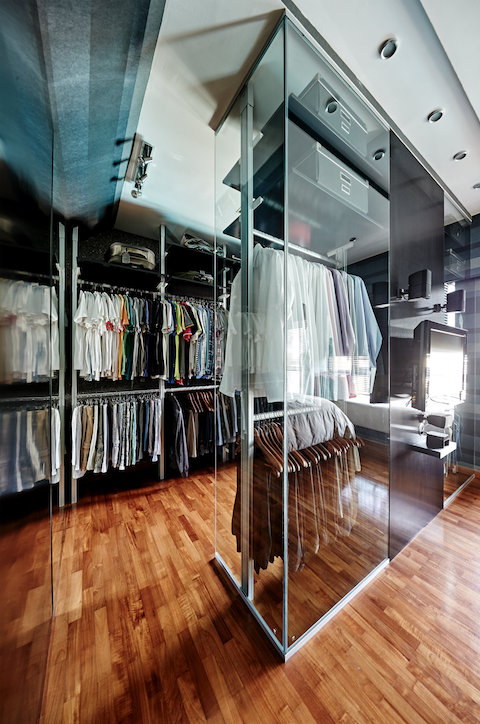 The bedroom features an open-glass wardrobe with a pole system. 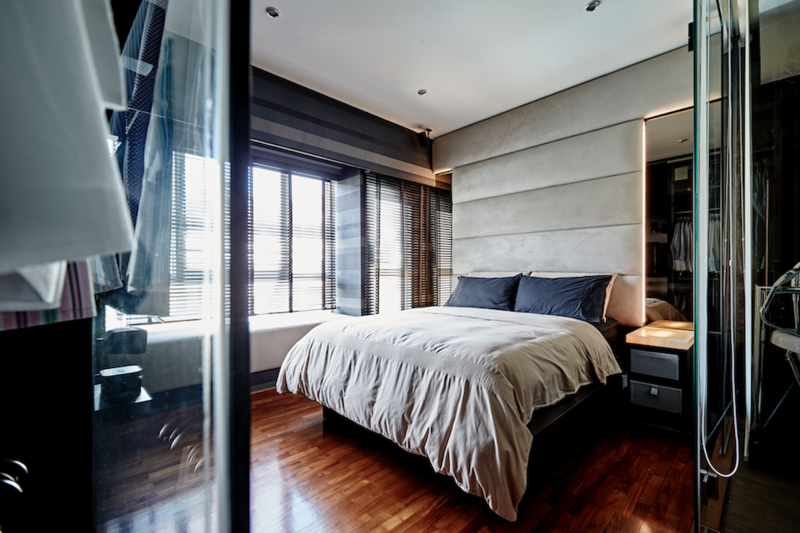 Unlike the light colour palette on the ground level, the son's bedroom remains an edgy and dark space. 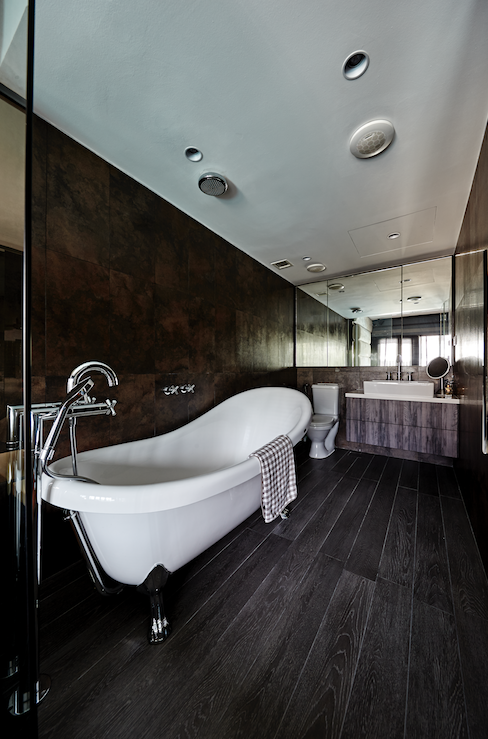 As for the bathroom, an easy way to make a space look brand new is to replace sanitary fittings. The new showerhead and taps add a glamorous sheen to the bathroom, and they match the claw legs of the bathtub, too.